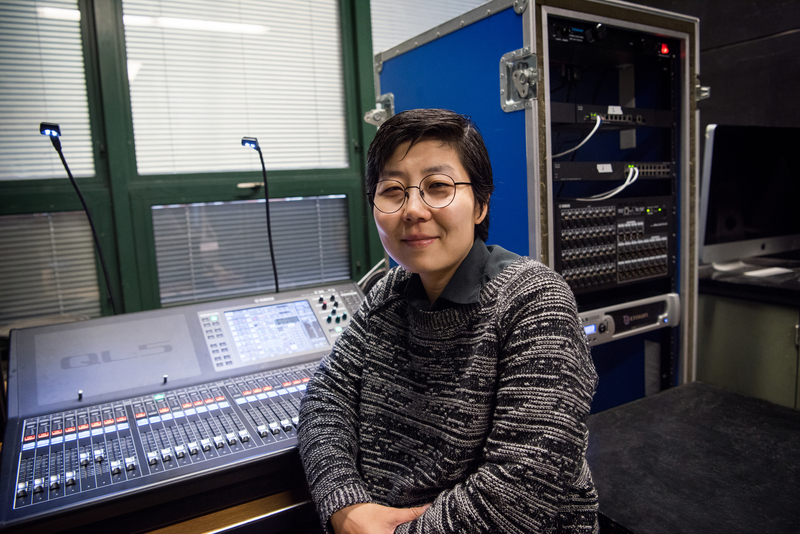 Sun Hee Kil, assistant professor in the Department of Theatre Arts, will serve as associate sound designer for the opening and closing ceremonies at the 2018 Winter Olympic Games in PyeongChang, South Korea. For Kil it will be a return to the nation where her career as a sound designer and audio engineer began. She started working on sound for musical theatre in 2001, and in 2006 she came to the United States for further schooling and to pursue opportunities to work on different kinds of theatre performances. Kil joined the faculty of SUNY New Paltz in 2014 to share her deep knowledge and experience with students of stagecraft, but has continued taking design and direction jobs both regionally and internationally. “I realized this would be way bigger than any productions I had worked on before, and it was an opportunity I could not pass up,” she said. While Kil cannot reveal any details about the content of the ceremonies, she said she’s expecting this to be among the most complex and challenging jobs she’s ever been part of. If recent years’ ceremonies in Rio de Janeiro, London, Beijing, Sochi and Vancouver are any indication, the event will likely involve hundreds or thousands of performers, multiple sets and precise timing over an hours-long program. “My job is making sure that all the communications are working correctly, and that everyone is in sync, so that we can make sure the athletes walk in at the right time, with the right music and the right microphones being heard,” she said. “Everything needs to be planned in real time. In musicals, if an accident happens and one automation doesn’t work, we can cover it and fix it with a longer scene change or something. But for the Olympics, everything has to match perfectly. This attention to detail is a point of emphasis for Kil’s work with students at New Paltz. 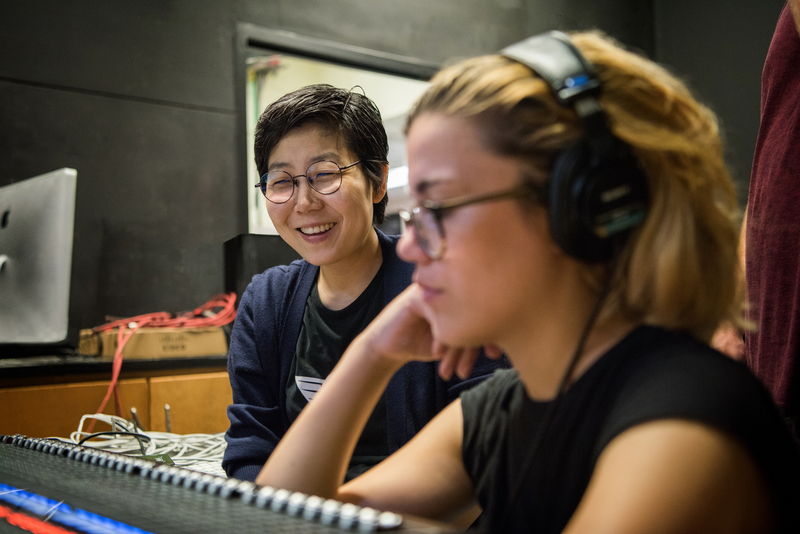 In addition to teaching courses in sound design, she often assists and supervises student audio engineers for the four Mainstage Productions performances put on by the Department of Theatre Arts each year. While Kil looks forward to resuming that work at the College, for now she’s focused on getting ready for the Games. The PyeongChang 2018 opening ceremony will be held on Feb. 9, and the closing ceremony on Feb. 25. Learn more online about the Department of Theatre Arts at SUNY New Paltz.